In this “elegant meditation on modern-day emotion” (San Francisco Chronicle), best-selling, prize-winning author Will Boast reimagines the myth of Daphne and Apollo. Will Boast’s long-anticipated first novel is an “outright marvelous debut [that] breathes fresh vigor into timeless questions of love and risk” (Laura van den Berg). 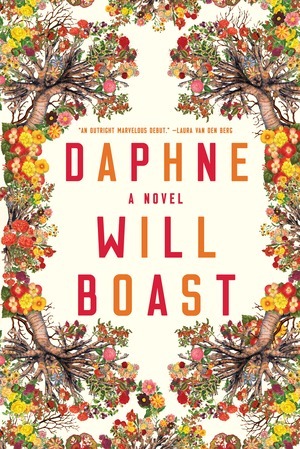 Born with a rare condition in which she suffers degrees of paralysis when faced with intense emotion, Daphne has had few close friends and fewer lovers. Like her mythic namesake, one touch can freeze her. But when Daphne meets shy, charming Ollie, her well-honed defenses falter, and she’s faced with a critical choice: cling to her protective isolation or risk the recklessness of real intimacy. Set against the backdrop of a San Francisco flush with money and pulsing with protest, Daphne is “an amiable exploration of how humans might come to manage their raucous hearts” (NewYorker.com).